“Life is too short to play it small. 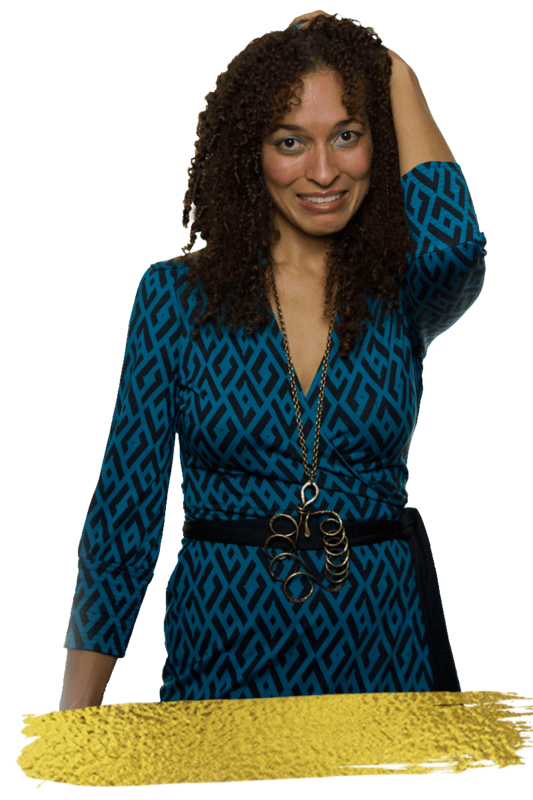 She had a dream to play it BIG in her biz and make amazing videos her audience would LOVE. 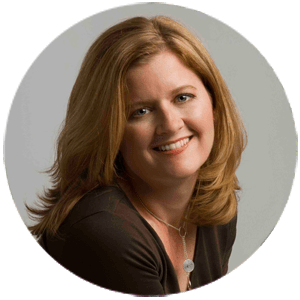 She wanted to tap into the superpower of video to build genuine connections with her dream clients, but she doubted that she could actually do it. 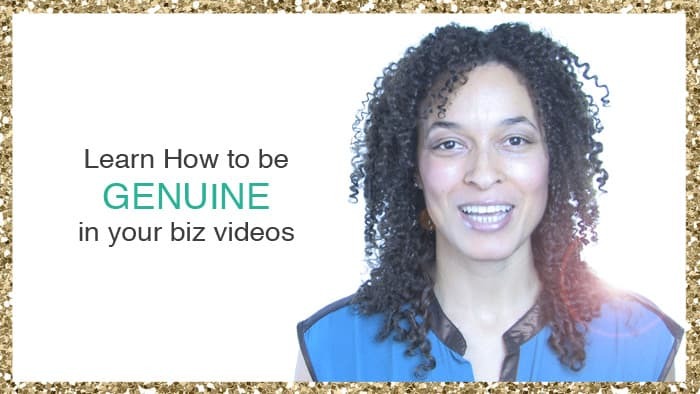 The entrepreneur knew that making videos would be an EPIC leap for her biz. bring out her amazing personality for the camera. bust through her video fears. and inspire, entertain and educate her audience through videos! But alas, she didn’t know where to start. One day she tried standing in front of her camera. She instantly started sweating, forgetting what to say and, well, sucking. Ahhhhhh!!! Yes, her level of suckitude was beyond belief! She turned off her camera and ran for the hills. She thought: Maybe video is only for the magical, special people: The video unicorns. She felt frustrated and discouraged. Then one day, she decided to search high and low for someone who could help her conquer the video panic and overwhelm. Someone who could move her past the fear so that SHE could actually SHINE on-camera and press the record button with confidence. Someone who would hold her hand along the way. She clicked over to Videos that Shine. Shazam! Low and behold, she found her very own Virtual Video Director… Sarah Michelle Brown. She decided to learn more about Sarah and how she could help her say goodbye to the suckitude and hello to creating CONFIDENT and ENGAGING videos. Hey hey hey, it’s Sarah, here. If the journey our our heroine sounded familiar, then you’re in the right place! Making videos may not be your area of expertise, but it is mine. Creating videos for your biz is an opportunity to show potential clients how amazing it will be to work with you. It’s all about shining a light on your best qualities so that we can unleash your good ol’ fashioned Know, Like and Trust factor. And that’s why I’ve made a HUGE SHIFT from working exclusively on my own arts works, to also working with aspiring world-changers like YOU. You don’t have to become something that you’re not in order to create content that has impact. You’re coming from a vulnerable place in making online videos for your business. AND HOLY MOLY, THAT CAN BE SCARY. But I’m here to help walk you through the video landscape so that you can have your very own Videos that Shine. You just need a bit o’ guidance to create videos that are true to you and your brand! It’s NOT ALL about entertainment (and I know entertainment). It’s about CONNECTION, VISION and AUTHENTICITY. Letting the best of you shine through. Oh, and making videos doesn’t have to be terrifying. It can actually be FUN + EXCITING! My training system stand apart from the crowd because it taps into not only your strengths, but also your (beautiful) imperfections. If you’re worried about getting it “right”, you can breathe a huuuuge sigh of relief. When you aren’t perfect, you’re MUCH MORE INTERESTING – that’s actually where your gold lies. In fact, when you allow some of your imperfections to been seen and heard, you uncover more of your on-camera strengths! This is like no other video training system because it’s a FUN, ACHIEVABLE and EMPOWERING experience. Bust through your video fears. Create RELATABLE, GENUINE and PROFESSIONAL videos! It’s time for you to transform from scared to SHINING; from eek to EXCITED; from playing small to playing BIG in your videos. Even if this is your first foray into video for your biz, I got you! Sarah meets you right where you’re at, she sees the POTENTIAL in you and she makes you feel like ANYTHING is possible! Nothing lights me up more than when someone lets us see their fullness, their beauty, their humour, their vulnerability and their passion on-camera. I come from a background of telling visual stories that reach out and give audiences an empowering experience. I’m an award-winning artist who writes, acts + directs for the stage, in music videos, documentaries and ﬁlm. Yep, I’ve got lots of experience in front of AND behind the camera! Most recently, I’ve turned my nearly two decades of experience into a method of training passionate entrepreneurs like you, how to get PAST THEIR FEAR so they can make awesome videos for their businesses. I also direct exclusive videos for my clients, while continuing to create my own artistic projects. 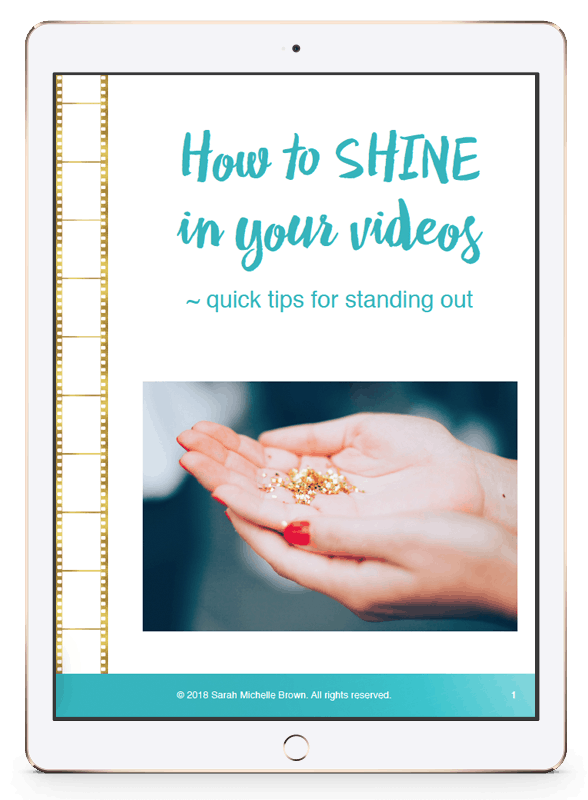 Essentially, Videos that Shine is the one-stop-shop to learn how to shine on-camera, to make videos that look great and to genuinely connect with you dream customers through you (awesome) video content. “Soooo beyond what I expected from a video training course! When I mustered up the courage to join, I did so with a fair amount of kicking and screaming. I knew that I needed to up my professional game for my online audience. Trouble was, I’ve never enjoyed putting myself in the spotlight. Ever. Thankfully, Sarah creates a safe place for even the most resistant of wallflowers like me. She knows how to tease out all of the awkward bits, knows when to encourage, and how to gently push when we need it most (but don’t actually know it yet). The first time I was in front of a camera, I totally SUCKED! 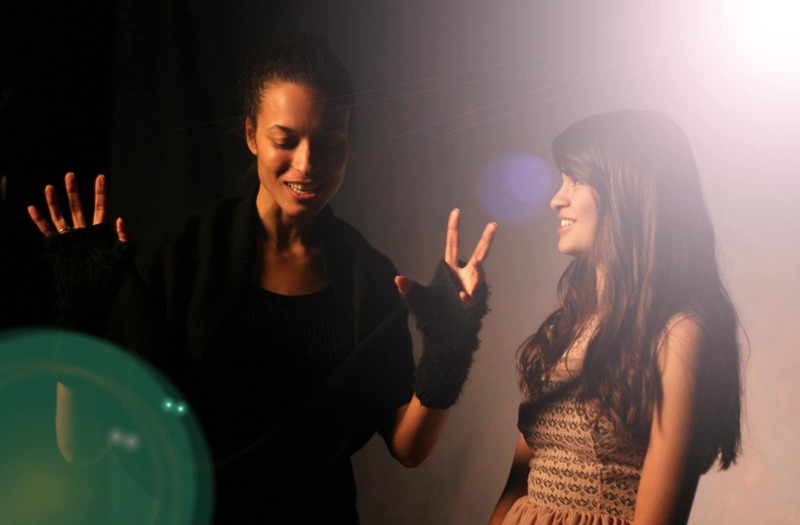 Yep, being in front of the camera didn’t come naturally to me (I’m an introvert by nature). After studying acting in New York City, I returned to Toronto thinking, YES, I can DO this! I auditioned and landed the lead role in a short film. Yahooo!! I arrived on set for the first day of shooting, and with horror, realized that I didn’t have the tools that were needed to stand in front of that camera with confidence. Everyone looked at me, waiting for me to become “The Star”. But I didn’t feel like a star… I was just Sarah. So I shrank my spirit on that set. I was sweaty and nervous and scared. The short film started screening at festivals. I was invited to the world premiere in my home city. I got dressed up, put my makeup on, and steeled myself. With sweaty palms, I sat in a darkened movie theatre with all sorts of film industry types, awaiting my screen acting debut. And as expected, my big screen debut was a big disappointment… And public! My face was 40 feet high on that giant screen. I could SEE. MY. FEAR. Honestly, I wanted to go hide in a video hole. And when it was all over, I licked my video wounds, and then learned how to get COMFY on-camera. I studied and practiced and I studied some more. And I learned exactly how to combat the nerves, to give myself permission to shine and how to be my own Star in a way that felt genuine and from a place of giving. 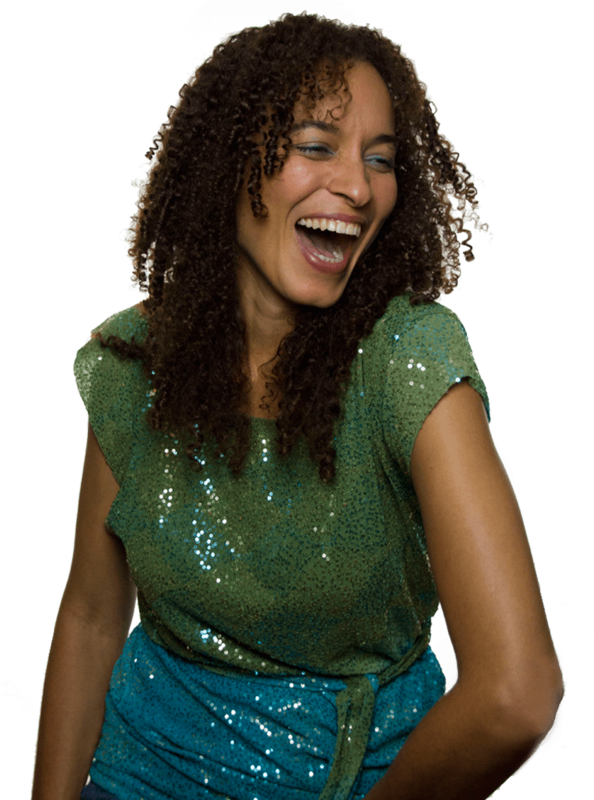 I’ve turned my fave tricks into a system of training video newbies like yourself how to bust through your fears so YOU can become a genuine Star to your own audiences. it took me a while for me to even see that I was a director. I had nooooooo idea what they were talking about. I denied this SHINING part of myself for several years. In the city I’d once called home. In the city I loved. In the city where I’d started to see my voice as an artist. In the wake of so much destruction, I decided that either I’m doing this, or I’m not doing this. Two months later I made my first short film and from then, I was hooked. I LOVE telling empowering stories, and I LOVE lifting people up! Let’s START like we intend to go on an ADVENTURE together! 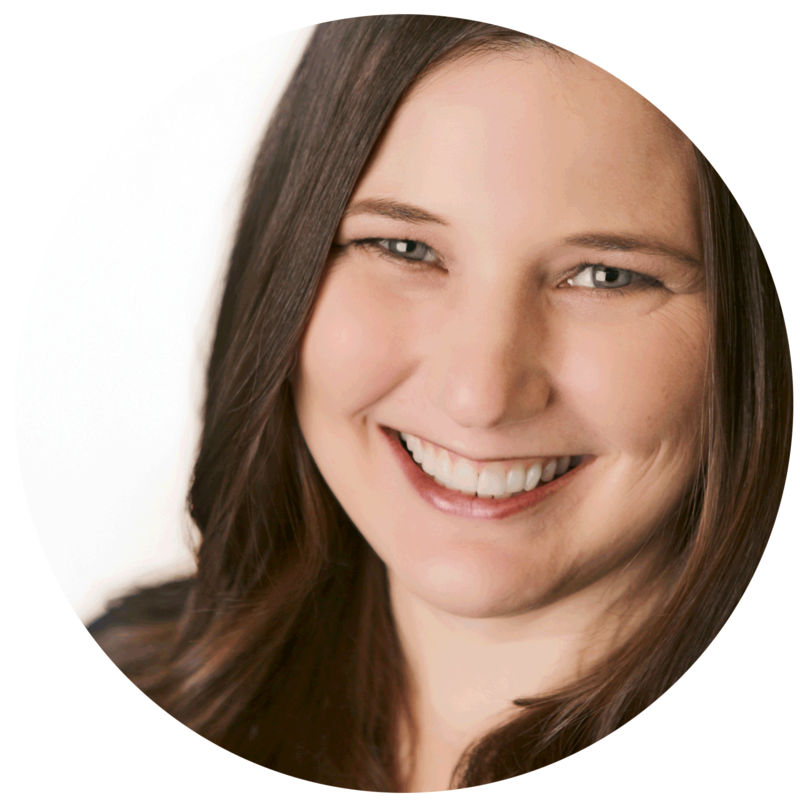 Before you take your FIRST step, you should know that it lights me up to help passionate ‘preneurs like YOU bust through your video fears so you can create the biz of your dreams. My signature program, the On-Camera Bootcamp, takes the BEST parts of what I’ve learned in front of AND behind the camera and makes it easy for video newbies (like YOU) to digest + implement. Your video journey truly starts today. Click here to take our first video step together.